Gold Tip introduces Airstrike™, featuring an ultra-light .204 inside diameter profile with an extreme front of center design, high modulus carbon construction, and exclusive Dyna-Tek Slick Shield® coating. Built for speed and long-range accuracy, the Airstrike™ closes long distances faster and penetrates deeper with pinpoint accuracy. 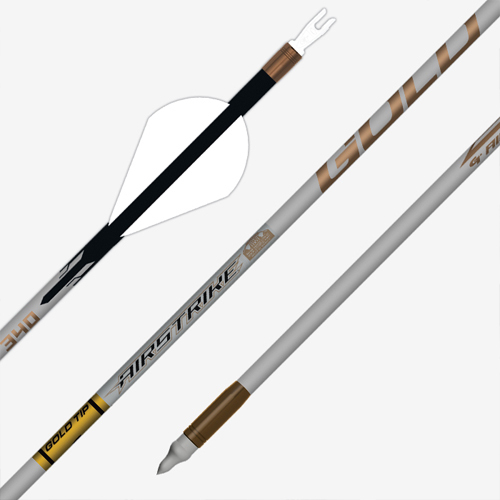 It’s the fastest, most versatile long-range hunting arrow your target will never see.